– Patient safety is our highest concern, which is why we support all efforts to ensure NHS guidance to healthcare professionals and patients accurately explains the risks and benefits of opioid analgesics. – Napp Pharmaceuticals Ltd is committed to bringing value-adding medicines to the NHS, including opioid medicines for doctors to treat legitimate chronic pain patients safely and responsibly. – We also continue to develop safer approaches to pain management, including research into new mechanisms and medicines with the potential to reduce or avoid the need for opioids in the future. Napp Pharmaceuticals Ltd is committed to bringing value-adding medicines to the NHS, supporting them to deliver high-quality and sustainable healthcare in a financially constrained environment. This includes making available biosimilars, diabetes and respiratory medicines, as well as opioid medicines for doctors to treat appropriate patients in chronic pain, safely and responsibly. Everyone recognises the valuable role that opioid medicines play in the treatment of cancer pain. Recent media coverage has, however, challenged the use of opioid medicines in treating patients suffering from long-term non-cancer pain. We believe it is fundamental that all of us involved in pain management do not lose sight of the devastating effects that chronic pain can have on patients’ lives. We are concerned that the recent press coverage may cause patients to be unduly worried about their pain treatment and we would urge such patients to discuss any concerns with their doctor. The treatment of chronic non-cancer pain involves a balanced consideration of a number of issues, including such aspects as the patient’s medical history, the type of chronic pain condition they have, response to various therapies and their lifestyle. An in-depth conversation between patient and doctor should always take place before a specific form of treatment is initiated. These discussions should be guided by available guidelines, e.g. : the World Health Organisation’s analgesic ladder . The treatment of chronic pain is often complex, and as with all medical interventions, no single treatment works for everyone. Many opioid pain medicines are licensed for use in chronic non-cancer pain, but the recent press coverage has claimed that opioid pain medicines have little or no efficacy in treating pain long-term. Napp disagrees with this statement. The regulatory approvals for use of opioid medicines in chronic non-cancer pain were granted by the regulatory authorities after careful review of evidence of effectiveness obtained from clinical studies. Recent attention has been given in the press to one paper in particular, published in the BMJ in May 2013. The paper, written by Moore et al, suggested a new and different approach to assessing the efficacy of pain relief in patients, and applied this approach retrospectively to evaluate pain relief attained in historic research trials, which had been conducted many years previously in full compliance with regulatory guidance and requirements at that time. The use of the paper to support claims that opioids are ineffective in the treatment of chronic pain conditions does not accurately reflect the full contents and conclusions of the paper. The authors reported high failure rates for various treatments, including non-steroidal anti-inflammatories, anti-depressants and anti-epileptics, as well as opioids. They pointed out that this is unsurprising due to the complexity of chronic pain conditions, and that the benefits of successful pain treatment are considerable in terms of improvements to sleep, depression, fatigue, quality of life, function and ability to work. The authors concluded with a recommendation that doctors should aim to evaluate whether a medicine successfully treats pain within 2-4 weeks and, if not, should switch to an alternative medicine, as experience suggests that where one drug fails another may succeed. It is also important to note that the high failure rates quoted in the BMJ paper were based on a definition of failure as not achieving a reduction in a patient’s pain of more than 50%. This is a more rigorous requirement than that which was, and still is, applied by regulatory authorities in deciding whether a pain medicine is effective in treating chronic pain. The European Medicines Agency (EMA)’s “Guidelines on the clinical development of medicinal products intended for the treatment in pain” require a reduction of pain of between 30% and 50% . The pain medicines that we used to promote for the treatment of chronic pain met this regulatory requirement by demonstrating a statistically relevant success rate in reducing pain in multiple clinical trials. Recent press coverage has also focussed on the duration of studies to assess long-term efficacy. According to the EMA’s guidelines, trials to assess safety and efficacy for chronic non-cancer pain require a minimum trial period of 12 weeks . This means any opioid pain medicine licensed for chronic pain will have demonstrated safety and efficacy within this timeframe, in order to be granted this licence. In addition, the regulator encourages follow up studies to assess efficacy beyond the 12-week minimum, while recognising the complexities of such long-term trials, especially patient recruitment and retention. We carried out several such follow up studies prior to bringing our pain medicines to market, some for as long as 52 weeks. 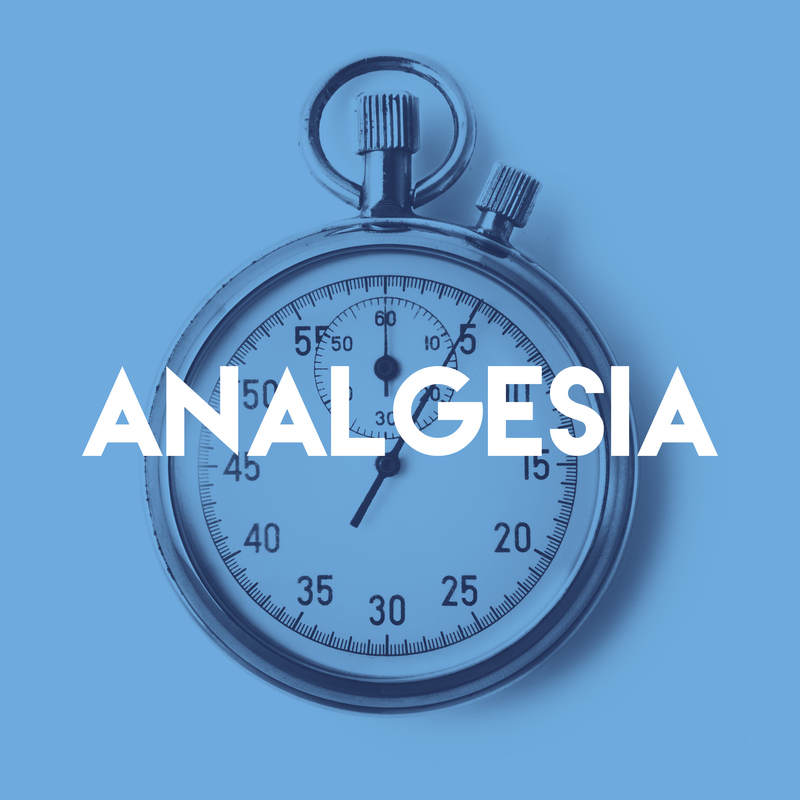 Analgesic success (as per the EMA’s guidelines) was achieved in all of these follow up studies, thereby further supporting the use of these medicines in chronic pain. All medicines available in the UK are subject to the packaging and labelling requirements set out by the UK regulatory body, the Medicines and Healthcare Products Regulatory Agency (MHRA). Napp adheres to these requirements, which govern the wording of the prescribing information provided to doctors, patient information leaflets, and the wording used on the packaging of medicines. Warnings of risk of addiction, in a form agreed with the MHRA, are included in the information provided to doctors and patients in respect of all Napp opioids. We welcome the announcement by the MHRA last week that it is reviewing its requirements for warnings on the packaging and labelling of opioid medicines, as Napp is fully supportive of initiatives to improve the clarity of information provided to patients. Napp also welcomes the Government announcement of a Public Health England review of prescription medicines that have the potential to cause dependency, addiction and withdrawal concerns. Opioids are included in this evidence-based review, along with benzodiazepines, zopiclone, zolpidem, pregabalin, gabapentin and anti-depressants. We support all steps to ensure NHS guidance to healthcare professionals and the patients that they treat with opioids remains accurate and responsible. We realise that misuse and abuse of opioid medications can lead to addiction, overdose and death, as clearly listed in prescribing information and patient information leaflets. That is why we strongly support efforts to minimise this risk while still ensuring these medicines remain available to those individual patients who achieve pain relief, whether acute or chronic. Although the situation in the UK is very different to that in the US – with far fewer people misusing and abusing these medicines – we have taken, and will continue to take, active preventative measures, drawing on the experiences and insights of the US in tackling this issue. This includes conducting comprehensive monitoring programmes, providing information to and supporting the education of doctors, enabling a secure supply chain, and working with regulatory agencies to implement risk management plans. We have also funded research programmes to investigate and report on any changes in levels of opioid misuse and abuse in Europe. We continue to develop new approaches to pain management, including research into new mechanisms and medicines with the potential to reduce or avoid the need for opioids in the future. Napp Pharmaceuticals Group manufactures and supplies medicines worldwide, enabling us to bring benefits to patients around the world. Patient safety is our highest priority. We manufacture our products to strict quality standards to ensure that we provide healthcare professionals and their patients with high-quality medicines. Napp Pharmaceuticals Group abides by Home Office and MHRA regulations, taking all necessary steps to ensure that all of our raw materials and finished medicines are safely produced, transported and delivered. We also maintain high levels of security concerning the production, storage and transportation of all our materials and finished medicines, in order to minimise the risk of our medicines being diverted into illegal channels. From the moment our raw materials leave our suppliers to the moment the finished medicines arrive at their destination, we maintain strict controls over who handles the materials and how the medicines are made. As well as implementing our own security protocols, we also audit all our suppliers and contracted parties that are involved at any stage of our manufacturing and transportation processes. We recognise that counterfeiting of medicines is a growing problem, particularly in respect of medicines purchased online. We deplore any criminal activity which contributes either to opioid medicines being diverted outside of the legitimate supply chain or to the supply of counterfeit products. We are committed to working with the relevant authorities to counter all such illegal activities inside and outside of the UK. We also urge patients to always purchase their medicines from reputable sources.